Pure tulasi japa mala, 35 inches in length (with tiny, rough beads; natural unpolished finish). Total there are 108 beads in the mala with each bead being around 10 mm in length. The bark on each bead is left intact without polishing for a natural look and feel. 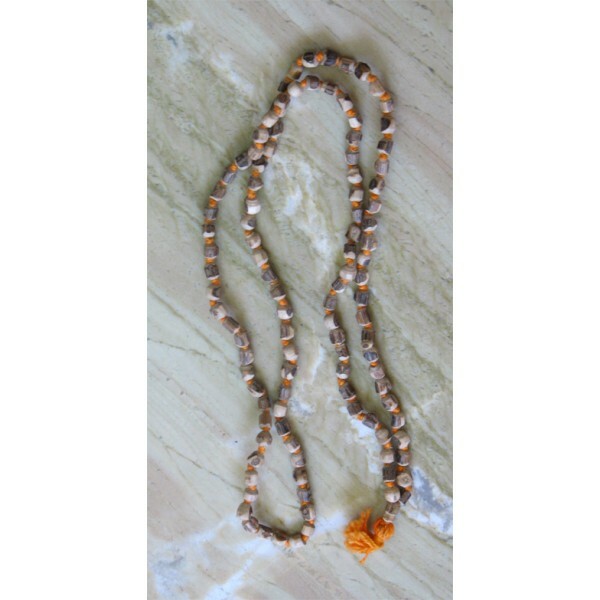 This mala may be used either for japa or for wearing on the neck.